King Solomon Sword | BUDK.com - Knives & Swords At The Lowest Prices! 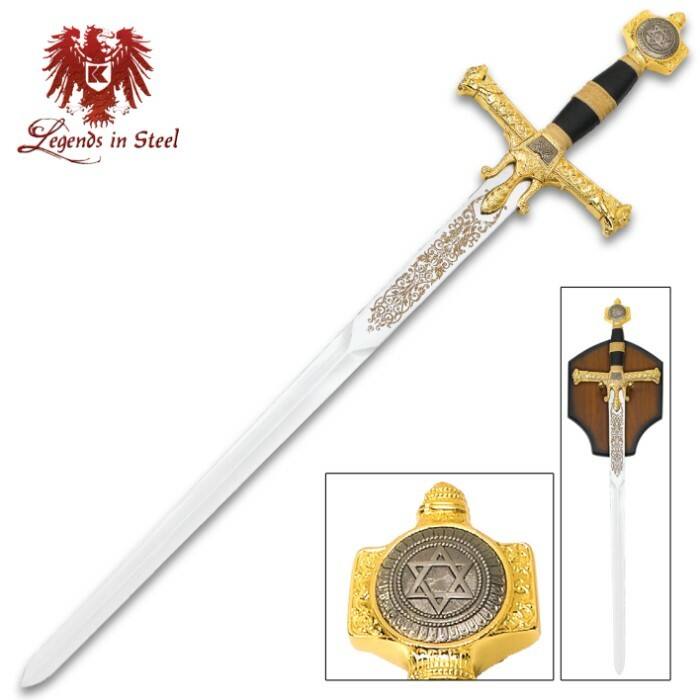 This King Solomon sword replica features a stainless steel 36" blade adorned with intricate laser etchings. The cast metal pommel and guard are antique gold plated and feature the Star of David and Ark of the Covenant symbols.